Willkommen am Lehrstuhl Amerikanistik. Im Menü links finden Sie ausführliche und aktuelle Informationen zu Studium, Lehre und Forschung. Unsere Mitarbeiterinnen stehen in ihren Sprechstunden jederzeit für persönliche Beratung zur Verfügung; wenden Sie sich insbesondere an die Studienberaterinnen für das Fach Amerikanistik, Dr. Ina Batzke und Milena Krischer. This special issue of Symbolism: An International Annual of Critical Aesthetics explores the various functions of metaphor in life writing. Looking at a range of autobiographical subgenres (pathography, disability narratives, memoirs of migration, autofiction) and different kinds of metaphors, the contributions seek to ‘map’ the possibilities of metaphor for narratively framing an individual life and for constructing notions of selfhood. 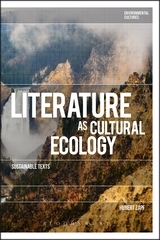 Drawing on the latest debates in ecocritical theory and sustainability studies, Literature as Cultural Ecology: Sustainable Texts outlines a new approach to the reading of literary texts. Hubert Zapf considers the ways in which literature operates as a form of cultural ecology, using language, imagination and critique to challenge and transform cultural narratives of humanity's relationship to nature. In this way, the book demonstrates the important role that literature plays in creating a more sustainable way of life. Applying this approach to works by writers such as Emily Dickinson, Edgar Allan Poe, Herman Melville, William Faulkner, Toni Morrison, Zakes Mda, and Amitav Ghosh, Literature as Cultural Ecology is an essential contribution to the contemporary environmental humanities. - See more here. This volume focuses on the interrelations between the experience of exile and mechanisms of censorship. In the phenomenon of censorship the intersections and reciprocal tensions of the cultural and political spheres become drastically apparent. Literature as a form of cultural expression reacts to and criticizes ideological premises of certain political contexts. It thus represents a counter-discourse to processes of canonization that are prescribed and violently put into action by oppressive political regimes. Within the respective political contexts, people who demanded liberties such as freedom of speech or artistic freedom often found themselves forced into exile or internal emigration. The present volume focuses on these continuities and discontinuities, on commonly shared features as well as the heterogeneous manifestations of exile literature(s) in the face of practices of censorship and the repression of free speech and artistic freedom in Germany, the US and beyond. The collection comprises contributions that shed light on the interrelation of censorship and exile from comparative, historical, political, and creative perspectives. Zu einer Rezension des Sammelbands gelangen Sie hier. The volume explores the state of contemporary American Studies in the light of recent developments and currently emerging perspectives of research. Featuring contributions by leading American Studies scholars from the German-speaking world, the collection of essays represents a broad spectrum of thematic, theoretical and methodological approaches that constitute major research agendas within current American Studies. It also includes contributions by renowned colleagues from the U.S. which provide a transatlantic framework of scholarly debate. In line with the original, dialogic conference format, the volume is organized around central topics covered by main papers and shorter response papers. 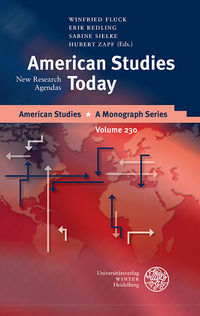 While the essays position American Studies in Germany in its transnational contexts, they also highlight its distinct contribution to the global field of American Studies in the early 21st century. Forschungsnetzwerk "Environmental Crisis and the Transnational Imagination"
Unter Leitung von Dr. Timo Müller läuft 2015 ein vom DFG gefördertes wissenschaftliches Netzwerk an, das sich mit den Wechselwirkungen zwischen Umweltkrise und Transnationalisierung und vor allem mit der Rolle imaginativer Texte in diesen Zusammenhängen beschäftigt. Weitere informationen hier. Zu weiteren Informationen, insbesondere des Lehrstuhlforschungs-schwerpunkts "Environmental Humanities" gelangen Sie hier. Nach ihren Besuchen 2011 und 2013 war die amerikanische Gegenwartsautorin Siri Hustvedt nun schon zum dritten Mal zu Gast am Lehrstuhl Amerikanistik der Universität Augsburg. Während Ihres Aufenthalts gab sie einen Workshop mit Studierenden und las im Kleinen Goldenden Saal aus ihrem Roman The Blazing World, der dieses Jahr in deutscher Übersetzung erschienen ist. Vor Ihrer Lesung fand ein Empfang im Fürstenzimmer des Augsburger Rathauses statt, währenddessen Siri Hustvedt von Hermann Köhler, dem Bildungreferenten der Stadt Augsburg, und von Prof. Dr. Sabine Doering-Manteuffel herzlich begrüßt wurde und sich ins Goldene Buch der Stadt Augsburg eingetragen hat. Zu Bildern ihres Besuchs 2013 gelangen Sie hier. Zu Bildern ihres Besuchs im Juni 2015 gelangen Sie hier.